IFC and Citi have extended their trade finance partnership by another four years, signing a US$1.2bn risk-sharing facility for the support of trade in emerging markets. It is the third time for the two parties to extend the facility that was first launched in 2009, under IFC’s global trade liquidity programme (GTLP). The goal, the institutions say in a statement, is to “expand the availability of trade finance at a time of reported global scarcity”. The facility extension will allow Citi to originate and fund more trade finance transactions to bank clients in emerging markets over a four-year span through a risk-sharing structure. Areas of coverage include banks in Africa, Asia, Central and Eastern Europe, Latin America and the Middle East, which will then extend financing to local importers and exporters. IFC and Citi will each contribute US$600mn to the facility. Since its inception, the collaboration between the two has financed a total trade volume of US$29bn (up US$9bn since its last extension), with around US$11.1bn in low-income and lower middle-income countries. This has been achieved through 4,092 trade transactions performed by 163 banks in 46 emerging market countries. Commenting on the facility, Paulo De Bolle, director of IFC’s financial institutions group, says the partnership is an important tool to support trade flows in “an environment challenged by derisking and continued volatility”. The funding is expected to support emerging market trade of another US$5bn through 2022. IFC’s GTLP programme is a global initiative that brings together governments, development finance institutions and private sector banks to support trade in developing markets. Launched in 2008, it has become a vital financing tool since the financial crisis. Some of the world’s biggest commercial banks have signed up. 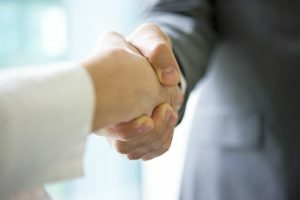 Over the last few years, for example, SMBC and Standard Chartered have each entered and renewed similar risk-sharing deals with IFC as part of GTLP. The post IFC and Citi expand US$1.2bn trade finance partnership appeared first on Global Trade Review (GTR).